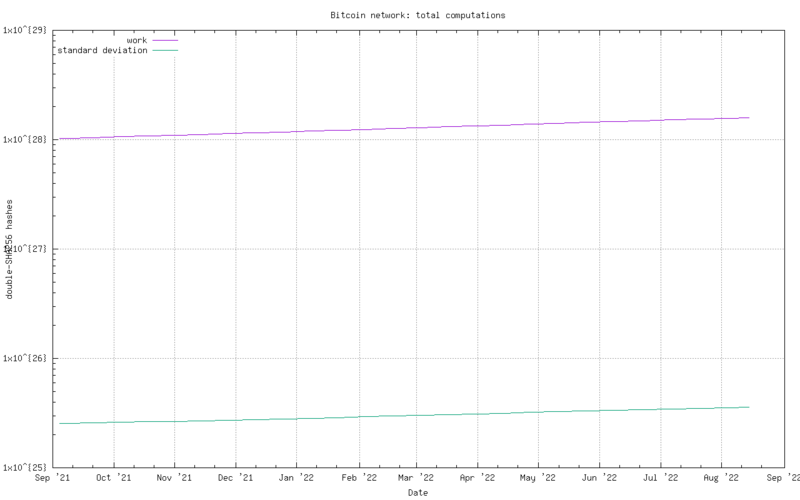 Click on the graphs to see larger versions. 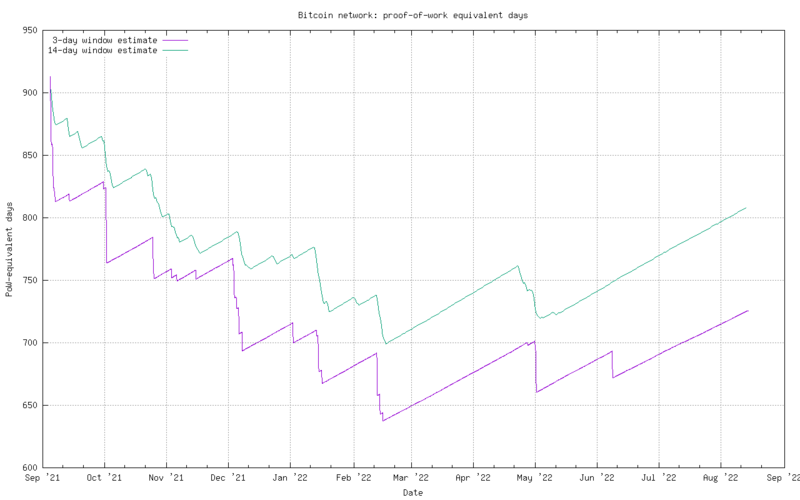 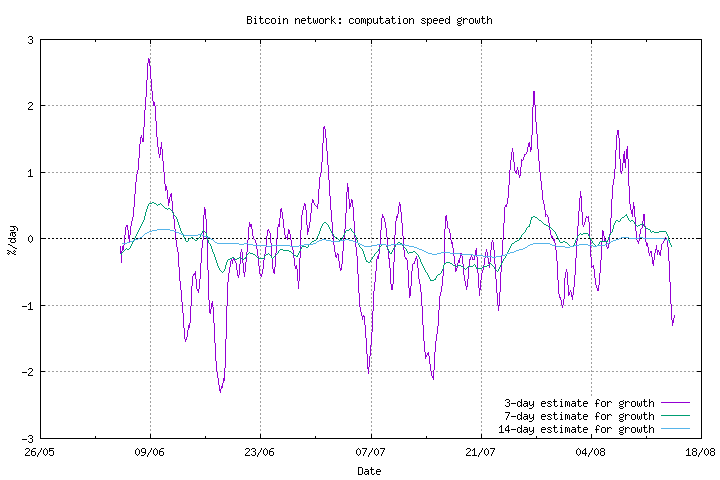 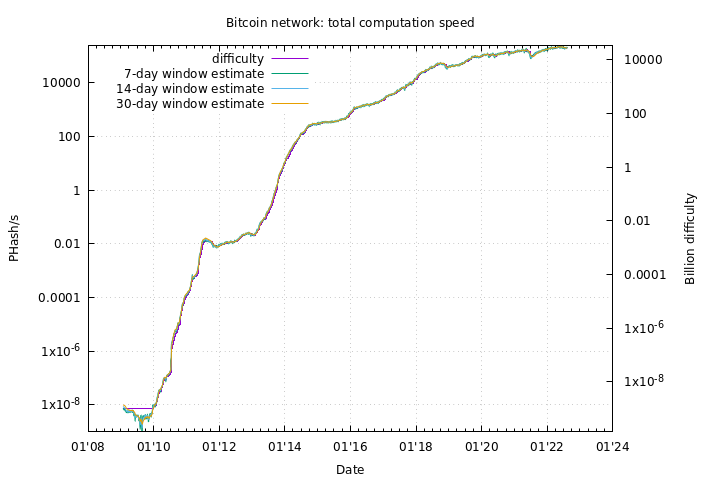 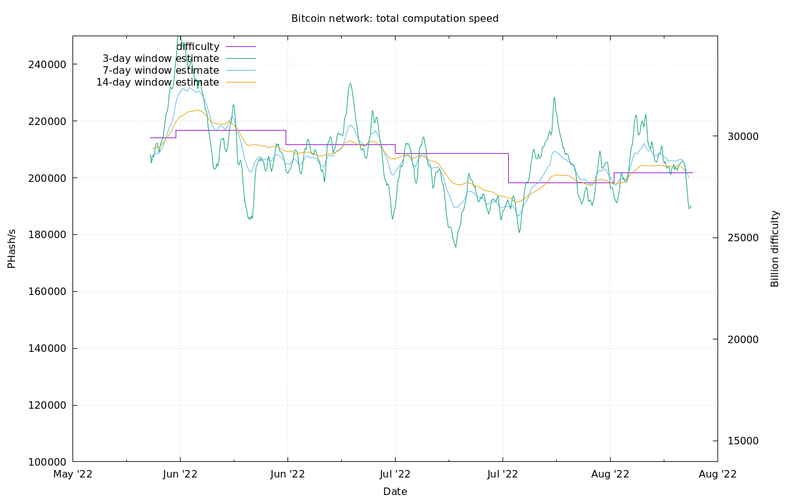 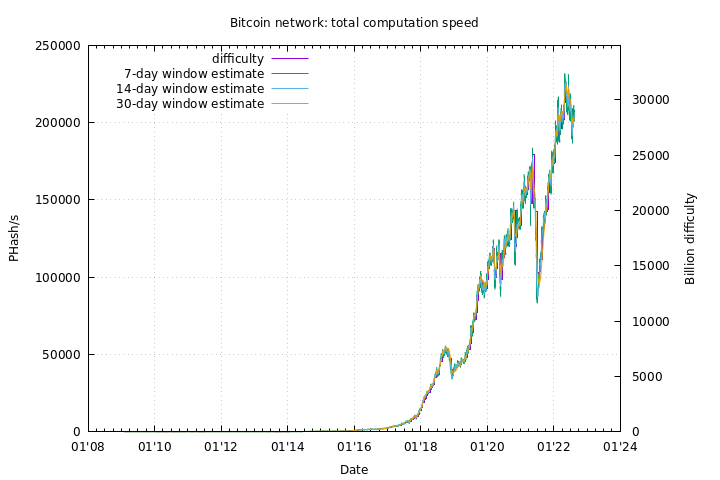 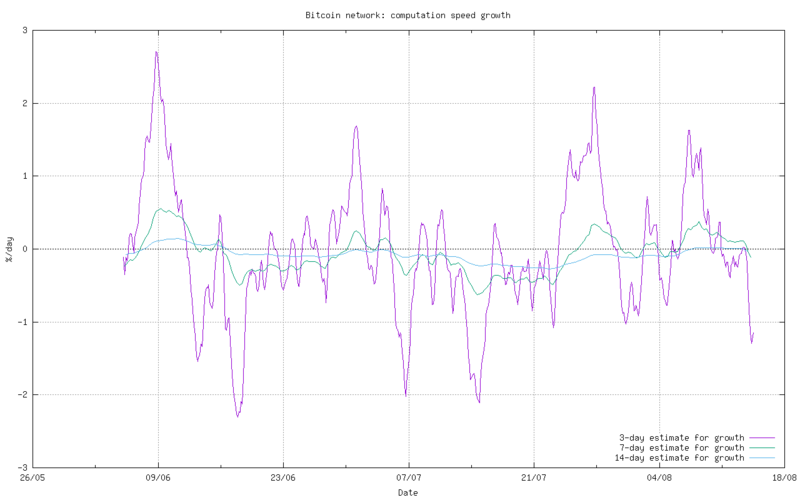 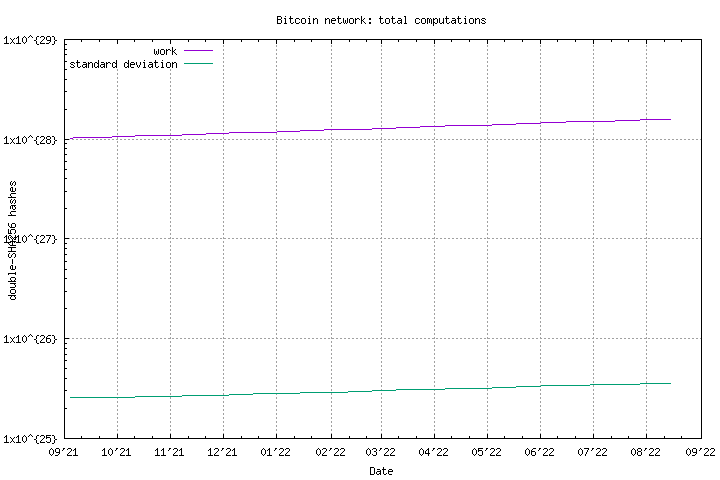 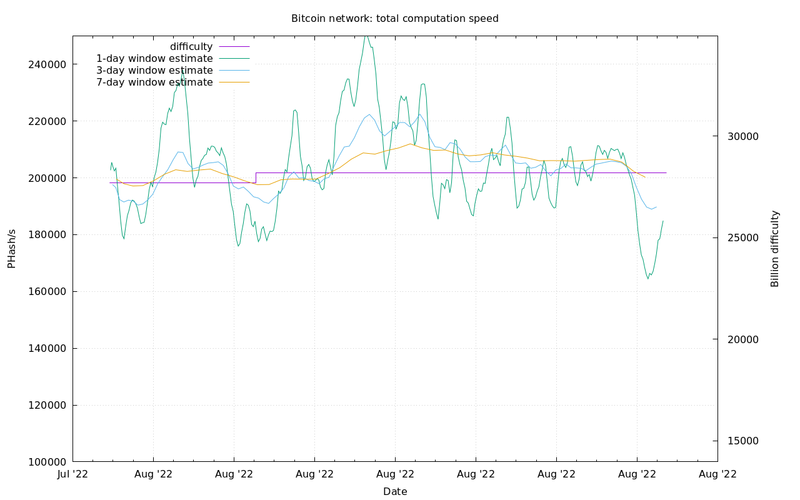 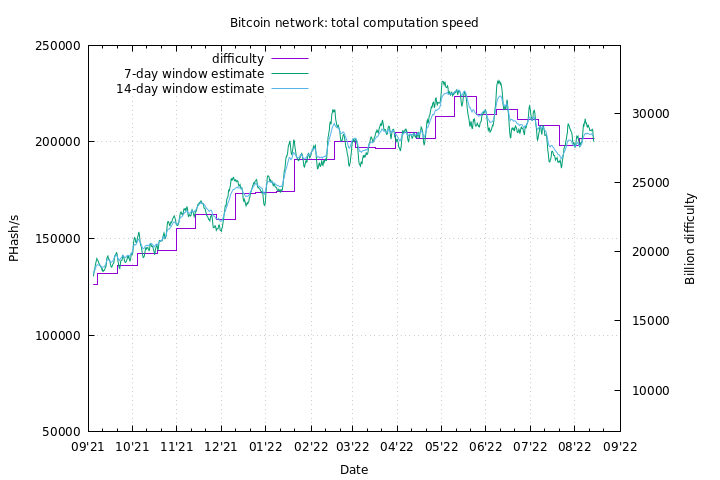 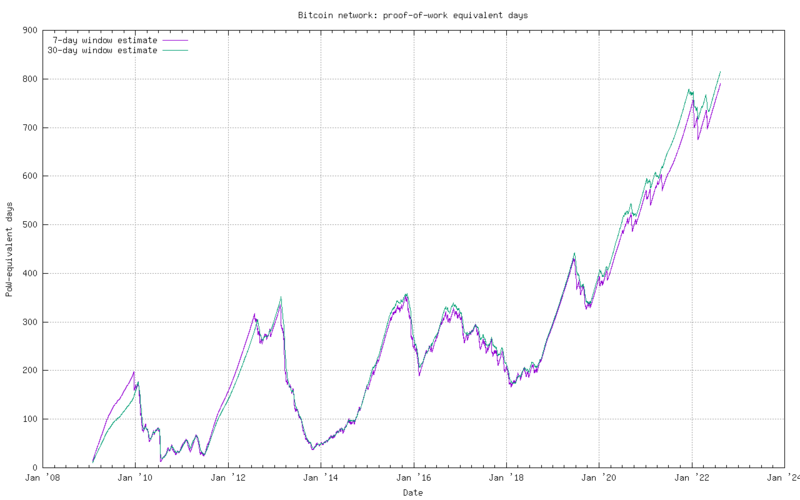 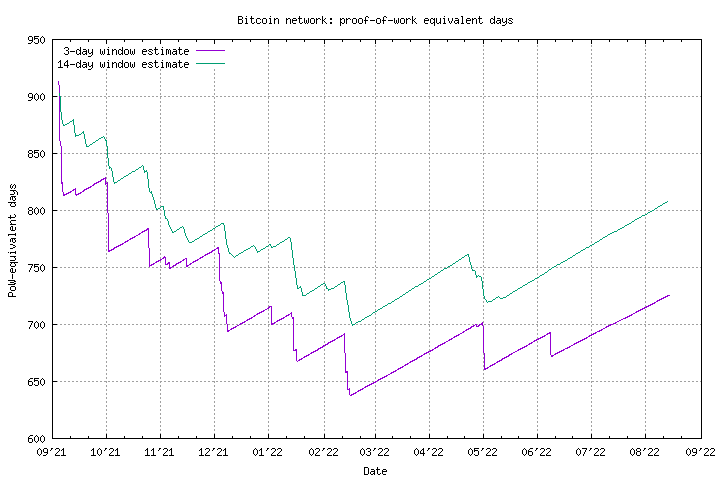 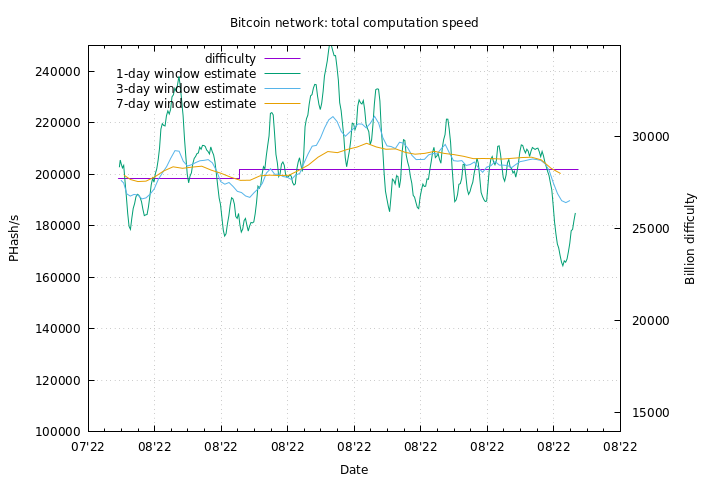 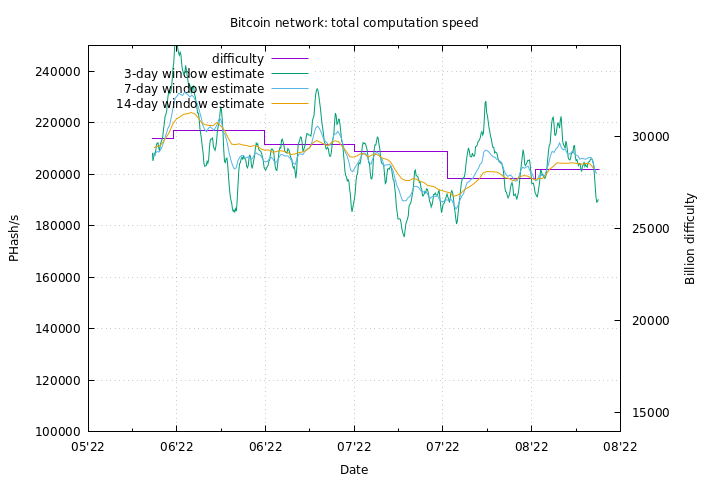 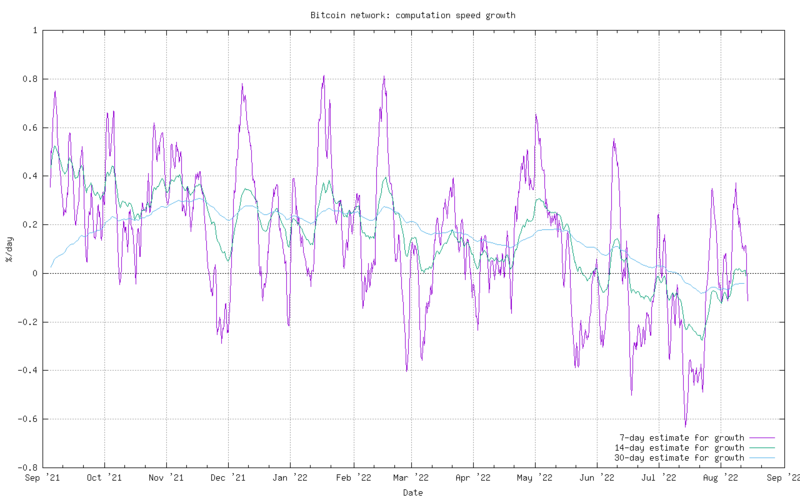 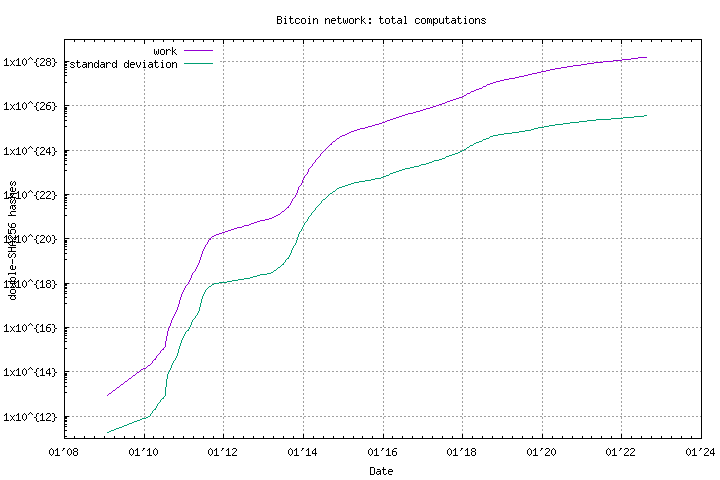 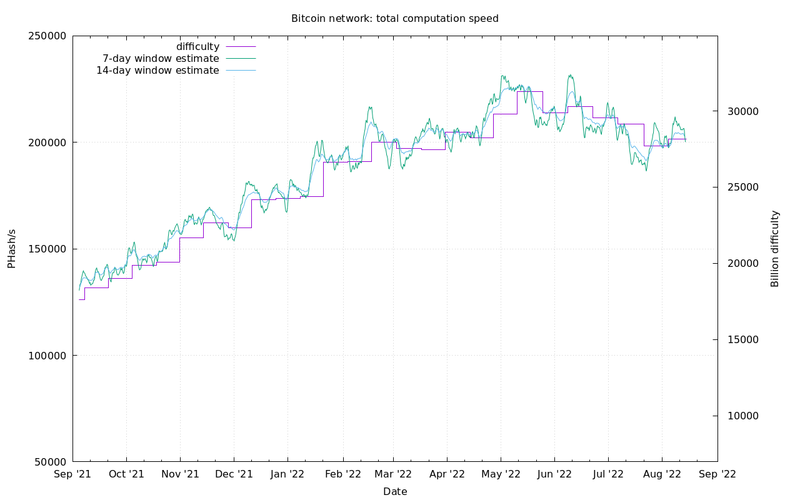 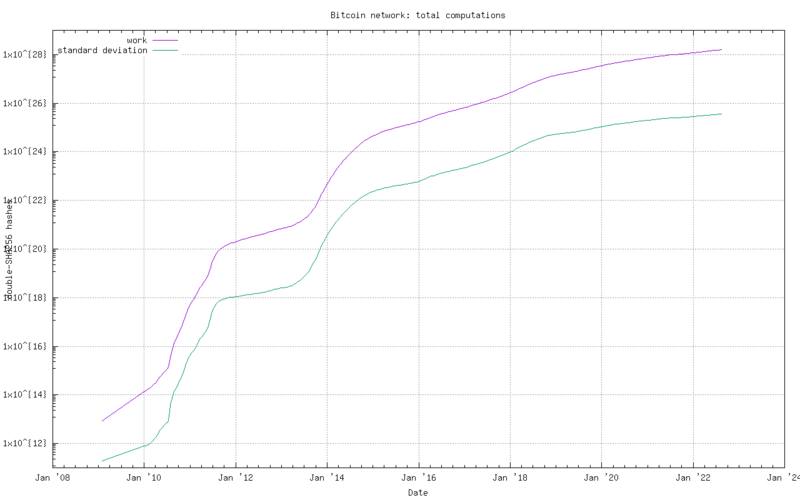 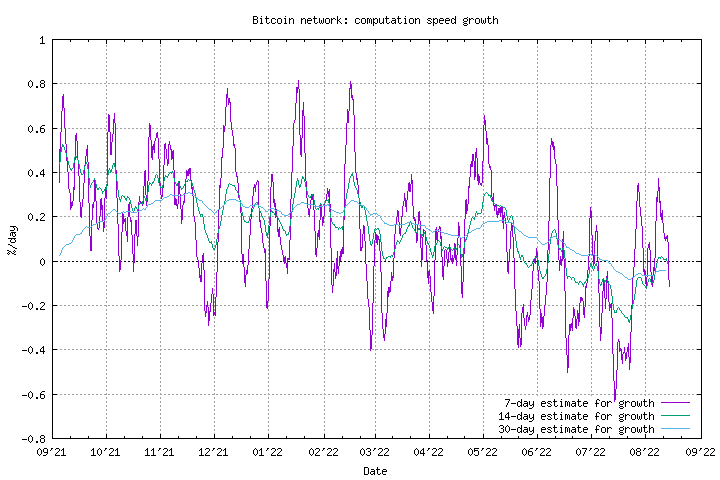 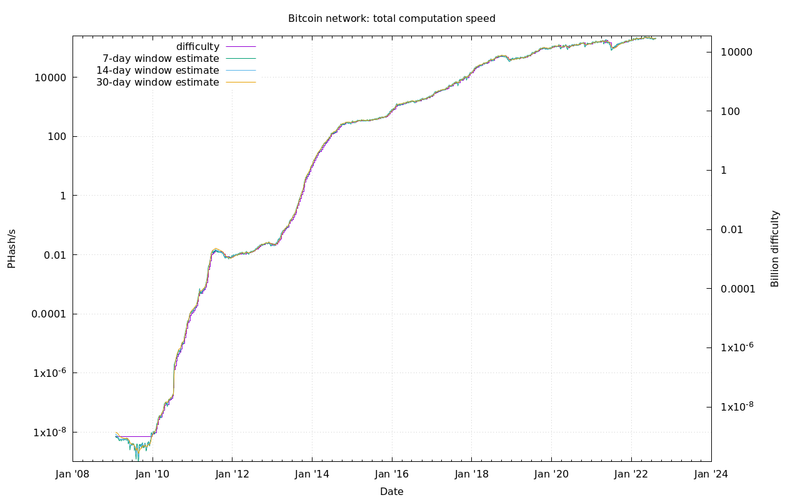 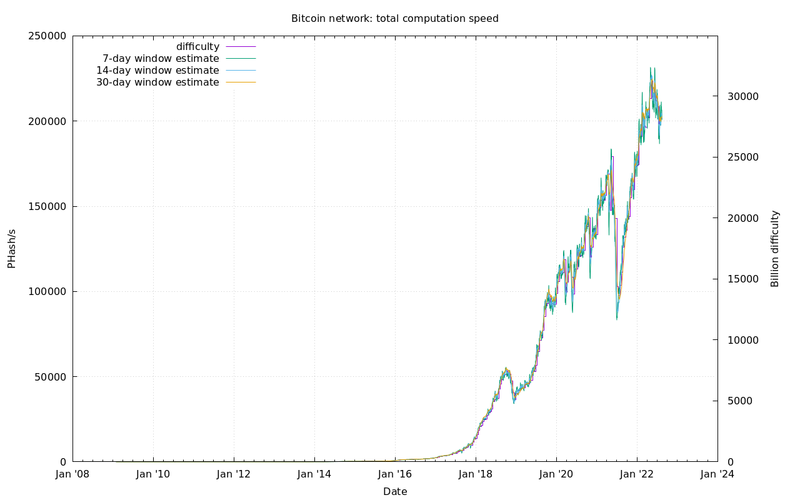 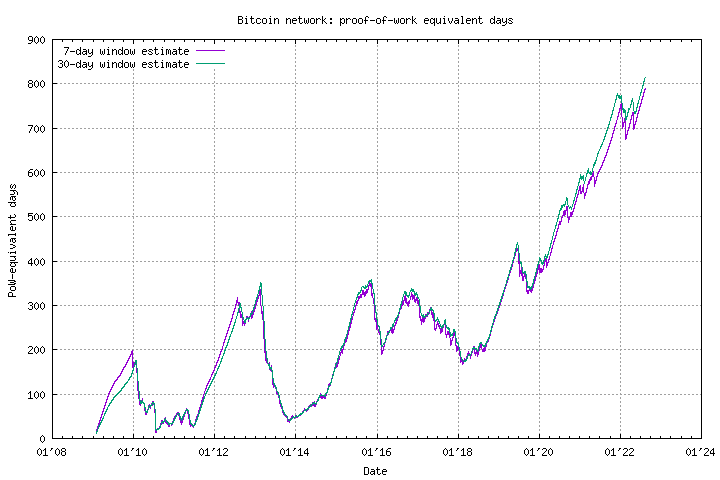 The ratio of total work divided by estimate of hashrate at that time. 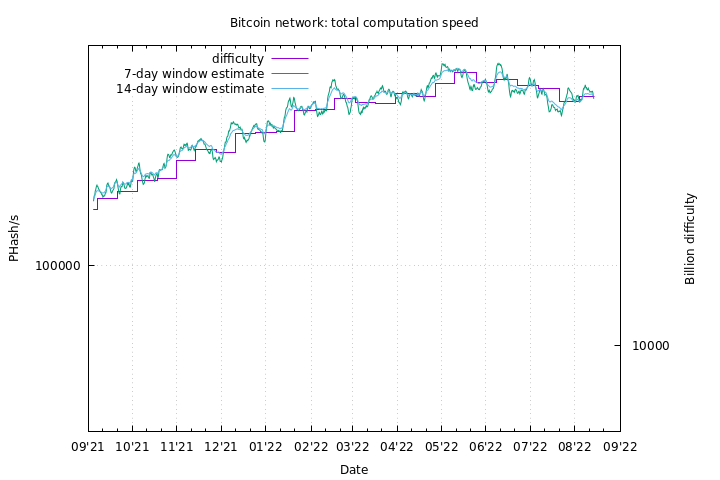 Thus it's the amount of time it would take for an attacker with 100% of the hashrate to rewrite the entire blockchain.